When we last reported, AMAC delegates were about to head to the marquee for the ‘Soiree’. As attendees entered the tent, the irrepressible Jon Hammond played his hip Hammond organs grooves. The Brassholes, a bunch of talented kids from Logan Secondary College funked it up and showed what a few good rehearsals mentored by the right people can do. They came out of a fantastic joint program called Courtesy ‘A-Venue”, an initiative between Arts Queensland and City of Gold Coast. Roland’s Brendan Callinan then introduced the amazing Ambre Hammond to the stage. Ambre performed a dramatic version of Franz Liszt’s Hungarian Rhapsody No. 2 and told of her incredible project Girl Piano Truck, which involves her placing a piano in a truck and taking it around the world to underprivileged communities. Lloyd Spiegel returned to AMAC for his second year in a row and showed why he’s one of Australia’s most respected blues guitar players. Lloyd was joined by Vince Contarino for a rousing blues closer. Those who still had a little steam to let off, hung at the Gallery lounge for a jam with some familiar industry faces on stage including John Keane, Shannon Sullivan, Rob Walker, Tony Burn and Leah Andrews. Day 3 was all about the gear. Over the next week or so Australian Musician will bring you a more detailed report and some video demos on the gear presented at AMAC but for now, just a short heads up on what we haven’t covered to date. 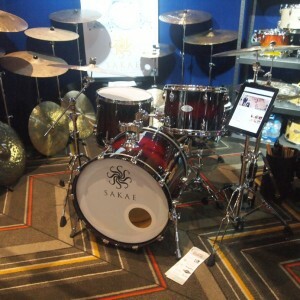 Beginning with the back corner of the trade floor, Yamaha were proudly displaying a range of beautiful new L16 series acoustic guitars, the MG series mixers, a cool looking white version of the Motif XF8 workstation synth and a new Stage Custom Birch drum kit. More on all of that soon. 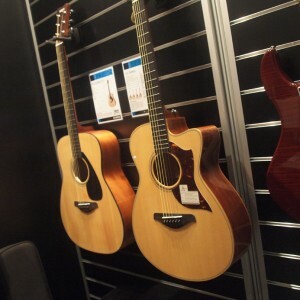 Richard Douglas from Pro Music keenly showed me the new Takamine G Series with solid tops, new electronics and lighter bracing. 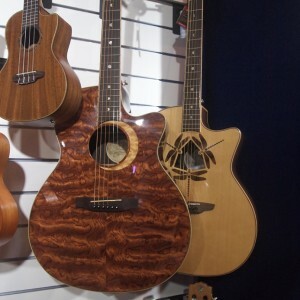 National Music were happy to present their Elixir coated string range, JTS microphones, T-Rex pedals, as well as guitars from Breedlove, Tanglewood, and Luna. 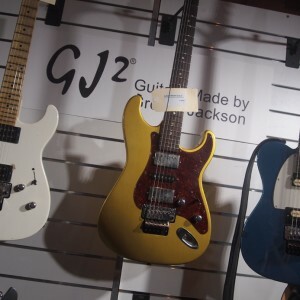 Also on the guitar front, they have acquired the range of custom shop GJ2 guitars from Grover Jackson and John Gold, including their impressive road-worn models. 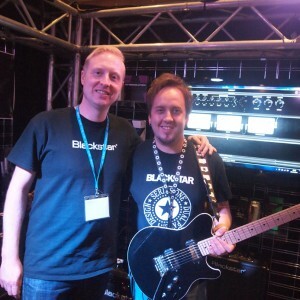 On the National Audio Systems stand, the Blackstar guys proudly presented the new ID: Core guitar amps, an innovative new product with a mind-boggling array of features for entry level players. The super wide stereo effects blew us away. It won best new product at Winter NAMM this year. Again, a more detailed report about Blackstar at AMAC soon. Over on the Roland exhibit, things were abuzz with the first look at a brand new product which we can’t say too much about yet. Keyboard wise, new F130R and RP401R entry level pianos in modern and traditional cabinet styles looked attractive propositions for dealers. Braegen Russell demoed the new Waza Craft Boss pedal range for us and we’ll have video of that coming up. I sat down on the Fender stand to plug into a new Gretsch G5034TFT Rancher acoustic/electric with Bigsby and what a deep, rich amazing sound that had. 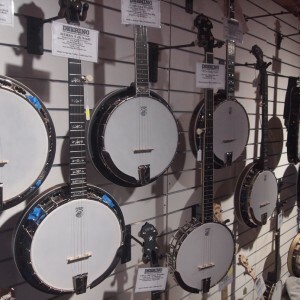 Zenith Music presented a wide array of brands including Corboda guitars and ukes, Esteve Spanish guitars, Deering banjoes, Saga and Blueridge guitars, Regal Dobros and a heap more. 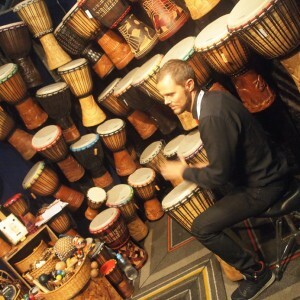 Threeworlds attracted a lot of interest with their handmade percussion products and spontaneous drum circles. 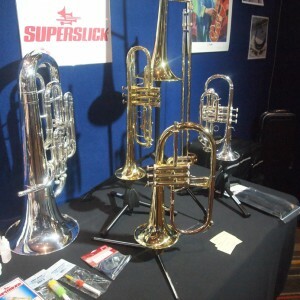 Brass and wind wise there was much to see too from Woodwind and Brass Musical Instruments, Select Music supplies, KJ Music, and Grevillea. Epoch’s Australian made carbon fibre stringed instruments always impress and company owner Mark Mitchell is as enthusiastic as ever. Bosch exhibited their Electro-Voice, Dynacord and Telex gear.A highlight of their stand were the Electro-Voice ZLX passive and powered loudspeakers. Hot Apple Distribution was a new company to AMAC showing is their case, bag and accessories ranges. Musico were prominent with Jon Hammond demoing their Hammond XK-1C, plus their range of Schimmel, Bernstein and Wilhelm pianos. Optimum Percussion had some really interesting kids percussion gear and mallets. The Resource Corporation who supplied the wonderful Sony Music Video camera we used throughout the weekend, also showed their consistent Konig & Meyer range of stands and accessories. Also on stand was the brilliant Blue DI from ARX, a bluetooth mixing device. 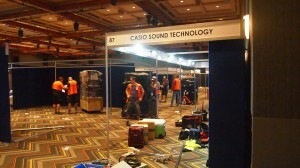 Apart from all of the gear at AMAC, there were also a heap of companies providing the industry with quality services. 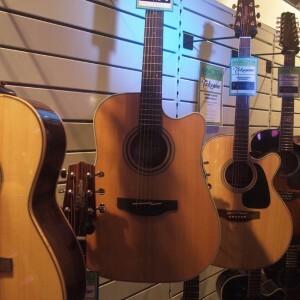 Studio 19 offer fantastic, flexible terms on renting the latest musical instruments. When John Keane wasn’t jamming in the gallery lounge, he was spruiking his National Insurance Replacement Scheme. Also offering great advice were AON Insurance and Commonwealth Bank. 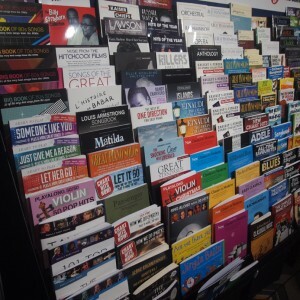 The print music people including Alfred Publishing, Music Sales and Hal Leonard were in force with plenty to offer. The other companies we covered in our day 2 report but there will be much more to come. As 4pm Monday came around, the atmosphere was very positive with many commending the AMAC organisers on a job well done. Delegates had enjoyed three days of networking, gained valuable sessions with speakers who really knew their stuff, were entertained and from what I could gather from the floor talk, were satisfied commercially. 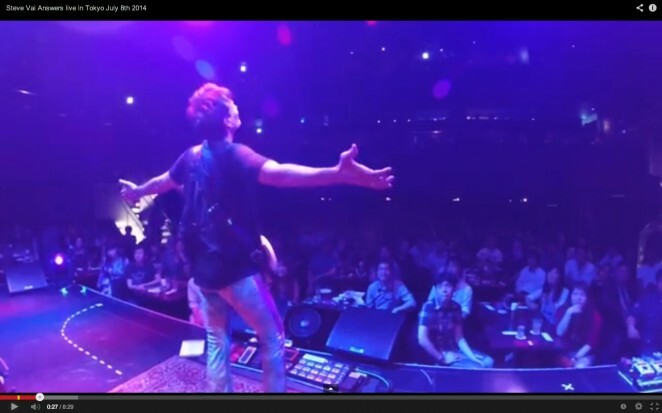 Stay close to Australian Musician as we bring you video and more information from AMAC 2014. AMAC 2014 eased into day 2, not with a whimper but a bang. Delegates attending the morning breakfast session not only got to experience a wonderful acoustic performance by Vince Contarino and were presented with valuable social media information by Tim Martin but additionally, were offered the chance to join a feisty drum circle. At 10am the trade floor was open and retailers from around Australia had the opportunity to check out the latest music product and services. 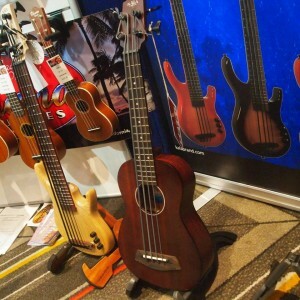 Australian Musician had a chat with Jacaranda Music’s Greg Cooper about the Kala Ubass, an impressive short form acoustic bass with pickup. 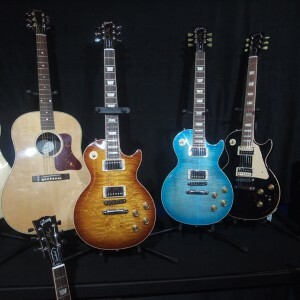 The AMI/Musiclink exhibit received good traffic to their range of new Gibsons and Orange and Peavey amps. Cole Clark displayed an array of their new Redwood and Blackwood top acoustics, with blues guitar legend Lloyd Spiegel on hand for demos. Epoch Musical Instruments stand was hard to miss featuring an imposingly beautiful carbon fibre double bass. Galactic Music were promoting their Aguilar, Behringer and Rotosound brands an displayed their range of high quality Stagg cables. Innovative Music proudly displayed a wonderful Carl Martin custom amplifier, hand wired in Spain, as well as a range of Carl Martin pedals and Forte and Kurzweil keyboard technology. First exhibit inside the door is Kawai presenting the new MP7 and MP11 digital pianos, featuring wooden keys no less! A distinctively heavy rock atmosphere overtook the National Audio Systems stand whenever the Blackstar range of amps and pedals were in use. 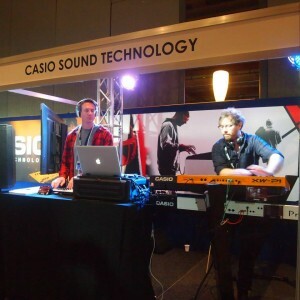 Over on the Casio stand, Amiel Warner and Sean Crossan as pop/rockduo Soda provided two vibrants sets of beats, samples and rock rhythms played on the latest Casio synth and DJ range. We’ll bring you more news on gear brands tomorrow including what’s happening on the Roland, Yamaha, National Music and Fender exhibits and much more. 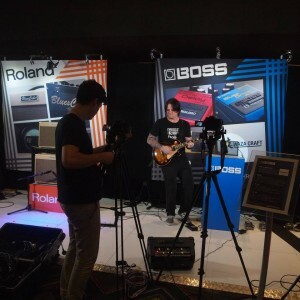 In the session rooms, Jon Hammond ran through the pros and more pros of the latest Hammond organ range then paid a visit to the Electrovoice stand to plug in there too. Lloyd Spiegel put in another hour of blues pickin’ to plug the Cole Clark name and Barry Hunn from Deering Bros spoke banjo business. At 5pm special guest Larry Morton, current NAMM chairman donned his Hal Leonard CEO hat and spoke about the print music business from a global perspective. The show winds down for the day soon as delegates prepare for tonight’s Soiree and Smorgasbord in the AMAC marquee. 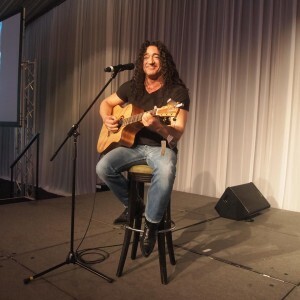 The Australian Music Association Convention or AMAC as it’s more commonly known is the gathering of Australia’s music product industry at Jupiters on the Gold Coast. It’s where music retailers, wholesalers, artists, trainers, international guests and an assortment of other industry people come together to network, display gear, do business, learn and enjoy the entertainment at many social functions. Today is registration day at AMAC. Exhibitors will be constructing their stands, filling them with gear and attending information sessions. 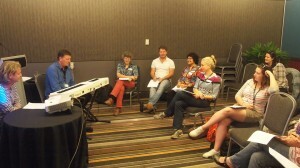 First up this morning is the Musical Futures Australia training session for Queensland music teachers. Hosted by musician Paul Norton and Musical Futures’ Ken Owen. Later this morning online guru Tim Martin speaks on Internet marketing, while the afternoon session brings special guest American speaker Alan Friedman to the podium for his session on profitability through inventory management. Once the business side of the day is done, delegates will attend the official welcome party at Jupiters’ gallery and terrace. For those who want to further socialise, the After Party in the gallery lounge will provide the opportunity to groove to the Jon Hammond Band featuring Kerry Jacobsen on drums, Neil Wickham on tenor sax and the sensational American keyboardist Jon Hammond on Hammond! South by South West (aka SXSW) is the huge annual conference for music, interactive and film professionals, which takes place in Austin, Texas. 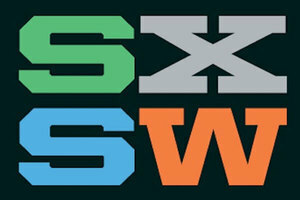 While the organisers of the Australian contingent just opened artist submissions July 8 for bands to apply to showcase at the South by Southwest Music Festival & Conference March 17-22 in Austin, Texas (http://sxsw.com), they will open registration & hotels for SXSW 2015 in early August. To assist those who are thinking of making the trip, they are holding SXSW Meet ‘n’ Greet free events in Melbourne & Sydney (August 12 & 13) for music artists & professionals as well as those wanting to attend the Interactive and Film Festivals which precede Music March 13-16. First up is Melbourne’s Corner Hotel 5:30 Tuesday August 12 (57 Swan St., Richmond) with an hour of networking drinks, followed by a panel of SXSW veterans and experts divulging tips & secrets with a Q&A until 9pm. And to kick it off, it’s Taco Tuesday at The Corner, SXSW’s favourite Melbourne venue. No RSVP necessary. The exercise is repeated in Sydney 5:30 Wednesday August 13 at the Newtown Social Club (387 King St., Newtown) with an hour of networking drinks, followed by a panel of SXSW veterans and experts divulging tips & secrets with a Q&A until 9pm. Both events are free and open to all comers. No RSVP necessary. The official travel agent, Brad Thomas of entertainment Travel Partners and a 10 year veteran of SXSW, will be in attendance at both shows giving tips on saving money, hotels outside the grid, direct flights to Austin via LAX or Dallas and much more. He is constantly unearthing great deals like this week’s Qantas SYD/LAX/SYD $1299 economy or lower business fares. His email is [email protected] and phone (02) 9280 3767. SXSW veteran Phil Tripp will be at both shows but is also available to answer any queries as the SXSW 12 -year representative for Australia, NZ and Hawaii. Email is [email protected] and phone (041) 22 666 77. For artists wanting to showcase, the submission process starts with an online EPK application exclusively through Sonicbids for US$33 at http://www.sonicbids.com/find-gigs/sxsw/. The price rises to US$45 from September 12 and submissions close October 10. It’s best for Australian acts to apply early when listening committee members have more time to spend on international acts submitted before the last minute rush, making it easier to apply for state and Federal grants as well as US visas. In its 29th year, from unsigned bands to indie and major label headliners, SXSW continues to be the premier music event that sets the tone and direction of the industry by introducing the hottest new talent, and showcasing the new directions and sounds of the most important musical acts in the world, while providing an ideal environment for bands to learn from and meet the music industry professionals that can help them further their careers. For Australian artists, support is given for extra concerts, the Aussie BBQ all day event, networking breakfasts and other sessions as well as a stand presence in the SXSW Trade Fair exhibition through industry and government supported export body SoundsAustralia. Grants at state level are available and the Australia Council has additional funding support for bands and managers to attend SXSW. In the past decade more than 400 Australian bands have played at SXSW with many obtaining record and publishing deals, management, agency representation and festival slots as well as touring connections. APRA AMCOS, Alberts and Nordoff-Robbins Music Therapy Australia (NRMTA) are pleased to announce that entries for the 2014 Vanda & Young Songwriting Competition – the largest charity songwriting competition in the world – are now open. With thanks to Alberts and APRA AMCOS, this year’s winning songwriter/s will take home a cash prize of A$50,000 and join the illustrious company of past Vanda & Young Songwriting Competition winners – Megan Washington (2009), Kimbra (2011) and The Preatures (2013). Three runners’ up, cash prizes are also on offer with second place receiving A$10,000 thanks to AMPAL (Australasian Music Publishers Association) and third place taking home A$5,000 courtesy of new sponsor,AEG Ogden. This year’s competition will also include the Encouragement Award with a cash prize of A$2,000 which has been graciously donated by last year’s winners, The Preatures. The Vanda & Young Songwriting Competition is one of the world’s most prestigious songwriting competitions in the world, supporting talented songwriters whilst raising much needed funds for music therapy that has been proven to help people with developmental disorders such as Autism Spectrum Disorder, Rett Syndrome and Angelman Syndrome and disabilities such as Cerebral Palsy, Down Syndrome, Dyspraxia and Spina Bifida. The competition is open to songwriters worldwide with each applicant paying an entry fee of A$50.00 per submission with money raised going directly to supporting Nordoff-Robbins Music Therapy Australia. To date, the Vanda & Young Song Competition has raised over $485,000 for NRMTA over the past three competitions. The 2014 Vanda & Young Songwriting Competition will be judged by a panel of songwriters and industry professionals. Entries close on the 22nd September 2014. Please visit www.apraamcos.com.au/vandayoungsongcomp for more information and terms and conditions. 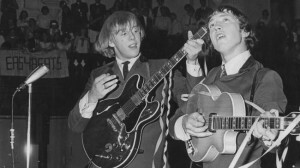 The Age Music Victoria Awards have always been about recognition and fun. This year they’re proud to announce that one of Australia’s most loved bands, Daddy Cool, will reform to play a special one hour show to celebrate their induction into The Age Music Victoria Hall of Fame on Wednesday 19th November. 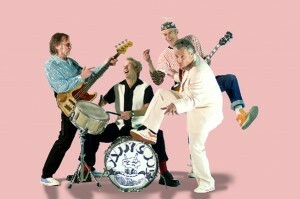 Daddy Cool’s good time rock ‘n’ roll made an enormous impact on the Australian music scene in a very short period of time. Initially they were only together for two years and two studio albums, but they struck a vein in the hearts and minds of Australian music lovers with mega hits like Eagle Rock, Come Back Again and Hi Honey Ho. Their 1971 LP “Daddy Who? Daddy Cool!” reached number one, becoming the first Australian rock album to sell more than 100,000 copies. The Age Music Victoria Awards 2014 will be held during Melbourne Music Week on Wednesday 19th November at 170 Russell (formerly Billboard) from 8.30pm – 11.00pm. Public polls open online via The Age on Friday 17th October after the completion of The Age Music Victoria Genre Awards. The Performing Arts Centre, and The Age online, will also pay tribute to this year’s inductees in exhibitions leading up to the event. See you all at the 2014 The Age Music Victoria Awards! Apart from his 2006 Adelaide Festival appearance, the much-lauded American guitarist Pat Metheny hasn’t toured Australia for three decades. 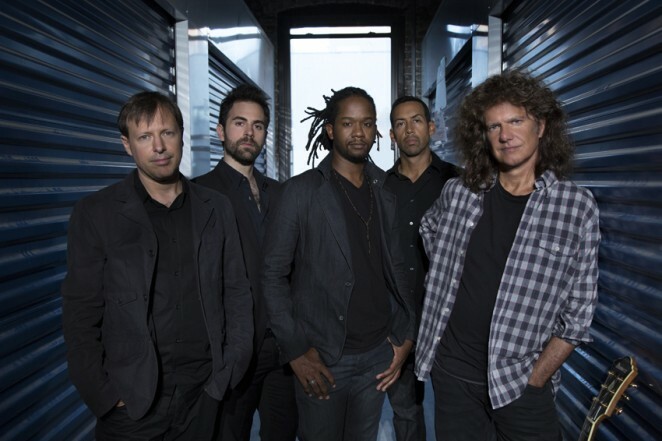 Live Nation is thrilled to announce the 20-time Grammy Award winning jazz guitarist and composer, Pat Metheny, will bring his PAT METHENY UNITY GROUP to Australia this October for select dates. The Pat Metheny Unity Group offers a platform for the guitar wizard to showcase the broad spectrum of work that he has created as a bandleader over the years in one all-star ensemble. The Group features a new quintet from the guitarist, with longtime collaborative drummer Antonio Sanchez, legendary sax-man Chris Potter, bassist Ben Williams and multi-instrumentalist Giulio Carmassi as the most recent addition. Throughout his 40-year career, Metheny has continued to redefine the genre by utilizing new technology and constantly working to evolve the improvisational and sonic potential of his instrument. He has performed with artists as diverse as Steve Reich to Ornette Coleman to Herbie Hancock to Jim Hall to Milton Nascimento to David Bowie. His guitar work on Joni Mitchell’s Shadow’s and Light album was sublime. Metheny has won countless polls as Best Jazz Guitarist and awards, including three gold records, as well as Grammy Awards in a variety of categories including Best Rock Instrumental, Best Contemporary Jazz Recording, Best Jazz Instrumental Solo and Best Instrumental Composition. Audiences can expect a wealth of material during the near-to-three-hour shows which will include the new recording, Kin (← →) as well as many favorites from past recordings. My Live Nation members can secure tickets first during the exclusive pre-sale beginning at midday Friday August 1. MELBOURNE MUSIC BANK – A QUEUE WORTH BEING IN! Free recording time, a free video, gigs, album art, PR advice and your song on the telly. Sound good? 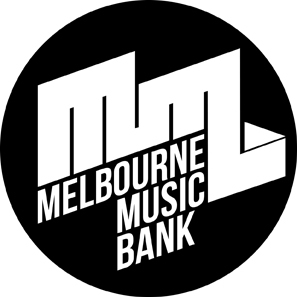 Bank of Melbourne has announced the return of Melbourne Music Bank, a community-driven music initiative offering aspiring artists a chance to break into the music industry. Melbourne Music Bank is calling for local musicians and bands to submit a song inspired by Melbourne. A career-making prize is up for grabs, including two days of recording at Sing Sing Studios, a video clip by film maker Wilk, live gigs, album artwork and 500 CDs, PR and marketing advice and the chance to have their song used in a Bank of Melbourne advertising campaign. 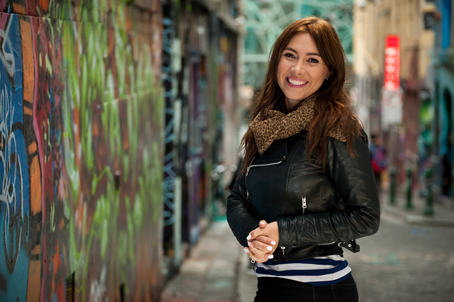 ARIA winning, Melbourne-based musician, Ella Hooper (Killing Heidi, The Verses, Spicks & Specks, Southern Cross Austereo’s ‘Aus Top 20’) is Melbourne Music Bank’s Ambassador. She said the prize could change the life of a talented local band or musician. “It’s so important that we encourage and celebrate our local talent, and this is exactly what this project is all about,” said Ella. “I got my big break after being discovered at a local fete in Violet Town. It led to free studio time to record and now here I am today!” The competition is open to all Victorian songwriters and musicians. Music artists have until 7 September, 2014 to submit an original piece of music inspired by Melbourne. Twelve finalists will be shortlisted and a public vote will narrow the field. Four finalists will perform live at the Melbourne Recital Centre where a panel of music experts will choose the winner. The Pretty Littles are short on promo words but big on fun, as the new clip for their single ‘Tegan Victoria’ shows. The band’s debut album ‘Mash’ went off with a bang, receiving continuing support from Triple J and FBi Radio. Some high energy shows followed, including a national tour, supporting Cosmic Psychos, Bad Dreems and The Smith Street Band. During that time they managed to squeeze in some new recordings which resulted in the Tegan Victoria track. The Pretty Littles launch the single at the Northcote Social Club on August 8th.